This is just one of many issues I have with rating films (though I love rating films!). What's a zero? What's a five? How often do you give it, and based on what? Do you have to take ALL of film (all you've seen, at least) into consideration when handing out ratings? For instance, I've seen Birdemic and could even find something positive about it (entertainment value), so would I give that a zero, and if so, doesn't that mean that just about everything released into a theater is automatically going to score higher than it? These are pretty unanswerable questions since they're all so personal. I think what we have to do (and yes, I struggle with it as well) is to only grant meaning to the numerical rating (or letter grade) given by a reviewer within the confines of ratings that that reviewed has handed out previously. If Leonard Maltin gives almost everything 2.5 stars, then the outliers will have more meaning. On the other hand, if someone hands out zeroes like candy (or 4.5s and 5s, like you cop to), then those carry their own meaning. Short story long, I understand your struggle with it (hell, I think all of us on the Looper LAMBcast gave Joel enough trouble for his 1 star review, which might as well have been a zero, if you ask me), but have to remind myself that what means zero to me probably isn't the same as it is to someone else handing it out. Thanks for the comment Dylan. Some interesting points you bring up. I personally try to not to over-think my ratings by comparing it to all of film history. As you point out all 5-star films aren't the same, so a typical movie that you really like will pale in comparison with your all-time #1. I like that you bring up the meaning of a score in comparison to other ratings by the reviewer. On my blog, the reviews I mostly write are for my "Movie of the Week", so naturally they are all movies that I really love (if you look in my review index, there's a long list of 5 star films). So maybe I've devalued the 5-star, as there are various films that receive that rating that aren't nearly as good as other films with the same rating. For me, it's all about the satisfaction I get. If a comedy has smart laughs that has be howling with glee, or a drama hits me deeply then I'll give it a very good rating. It may not be at the level of Apocalypse Now or The Graduate, but it fully served its storytelling purpose. I just stick to 1 to 5 stars, not even giving out halves. Keeps things a little simpler in my view. My ratings page even says that a 0 is reserved only for Manos: The Hands of Fate (which is simply so bad it warrants breaking the rules.) My feeling is that whatever else I can say, the filmmakers have succeeded in making a film, and a 0 is only warranted if that's not the case. I'm with you. If someone manages to successfully put a story to film then they deserve some amount of acknowledgement. To me, a zero means they put up a blank screen in front of you and you truly get nothing from it. I used to rate movies on IMDB before I started blogging. So, I still use a 10 point system. Where 1 or 2 points generally mean zero. I've used this lately when I reviewed ATM. I can completely understand the 1 out of 10. It's the concept of "0" that really bugs me. Rating systems are definitely hard to gauge. I usually pay much more attention the the actual words because everyone's system is so subjective. Even our rating system which is pretty scientific and clearly shows how we break down how we came to our final score can be misleading. I've gone back and looked over scores I did awhile ago and know they should have been different even though I think or system is fantastic and usually on point. 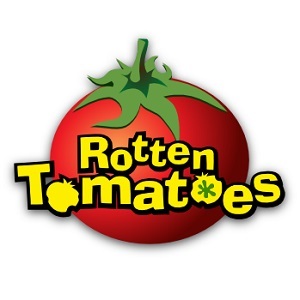 Also with things like Rotten Tomatoes which I believe is the most accurate score you can get for a film I don't always agree with so I think you just have to value the actual review over the score. I think a 0 score should probably almost never happen though. There's usually something you can pick out that would bump it up. I really like your rating system over there! It's actually a great example of my point that there are so many aspects to a film that a "0" rating really shouldn't happen. I do use star ratings, but I doubt mine are very helpful, because I'm lenient. :) There's almost always something I admire about a movie. Plus like you, I'm pretty good at choosing films/books I enjoy, so I don't often have occasion to assign a low score. In my opinion, star ratings and grades are essentially the same thing (e.g. "5 stars" would be an "A") However it would never occur to me to assign a "0" star rating to anything. To me "zero" means you didn't even hand in the assignment -- *LOL. * If the movie is on the screen, *something* was accomplished. I totally agree with you. There is *something* there on the screen, so a score that represents a quantitative or qualitative amount should be used. Thanks for the comment. I like how you compare it to academic grades.